1. I’ve only missed one Sunday this summer (last week), but it felt like I had been gone forever. So glad to be back in church today. 2. We took time to pray for Destiny Church in Columbia after the tragic van accident with some of their youth group members that occurred last week. Their pastor, Steven Morgan, is a close friend of mine. We’re praying for this church family in their time of deep grief. 3. For the first time ever, I forgot to have “fellowship time” during our 10:45 service. This is such an important component of our service, as our friendliness and warmth is necessary to make people feel welcomed. I simply forgot! I hope that doesn’t happen again. 4. It was sad to say good-by to my good friends Jonathan Lee & Laura McEllheney. Still, but I know God is going to use Jonathan and Laura in a powerful way in their new job. They will be greatly missed at CIL. 5. My message The Heart Behind One Sunday was one of the most important talks of the year. I’ve never been so excited about the future of CIL. I’m excited to see the wave of momentum God is going to help us create on Sunday, August 21. 6. We will have water baptisms next Sunday – August 7th. If you are going to be baptized in water let me know which service so we can properly plan our time. 7. It’s hot out there! 8. The guys and gals on Capital Hill really know how to complicate things. The solution is simple: spend less then the income you bring in. and I’m thinking about tomorrow’s sermon. I know some of you will read this after the sermon is over, but I want you to know what my thoughts are tonight. I preach approximately 75 – 90 times a year. Tomorrow’s sermon feels different. The title of my talk is The Heart Behind One Sunday. 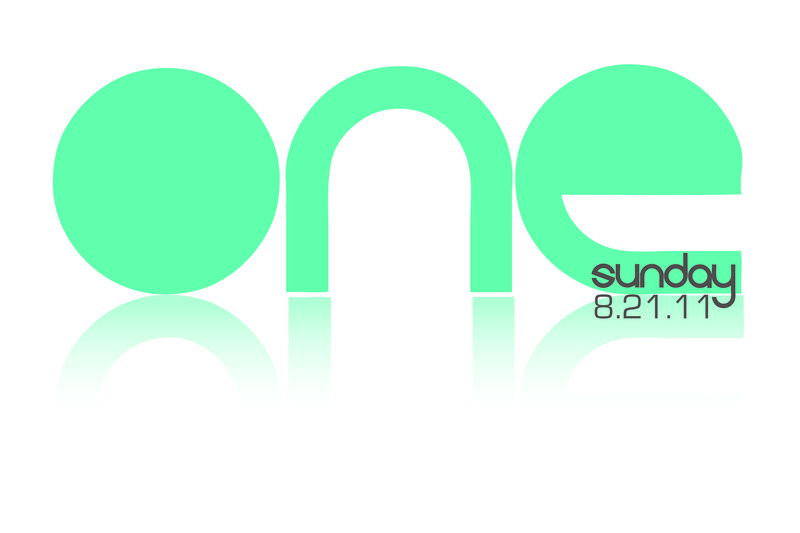 I have high hopes for this targeted Sunday on August 21 as a way to create momentum in our congregation. That is why tomorrow’s message is a special sermon. God is calling us to mobilize as a church family. I believe tomorrow will be more than a sermon, but a new directive from God to our congregation. Together, we can make a difference in Sumner County and beyond! It starts with One Sunday.